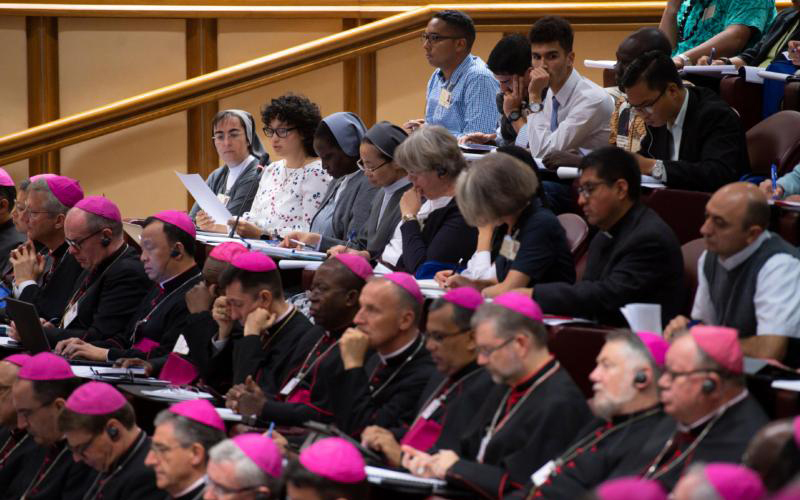 VATICAN CITY (CNS) -- Speaking to the Synod of Bishops on behalf of Belgium's bishops' conference, a bishop said he was sure some young married men would become priests if they were asked. The vocations of Christian marriage and "celibacy for the kingdom" of God "deserve to be equally promoted by the church," Auxiliary Bishop Jean Kockerols of Mechelen-Brussels said in his presentation Oct. 10. Just as Christians are expected to pursue another vocation out of their baptismal vocation in a way that gives "flesh" or substance to the sacrament of baptism, certain people, whether they are married or not, may hear a call to serve and be ministers of their communities, he said. 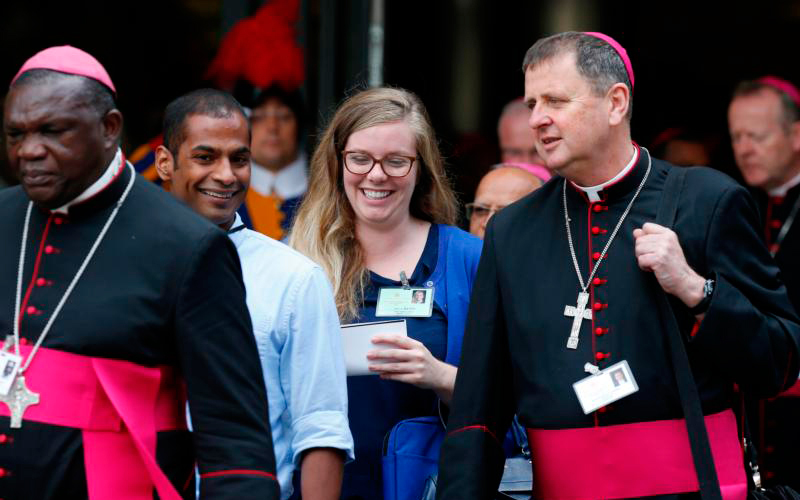 "I am convinced that some young people," who, out of their baptismal vocation, answered a call to commit themselves to "the bonds of marriage would readily answer 'here I am' if the church were to call them to priestly ministry," said the bishop who was elected by the Belgian bishops to represent them at the synod on young people, faith and vocational discernment. The bishop's full text was published Oct. 10 on www.cathobel.be, the official French-language site of the Belgian bishops' conference. 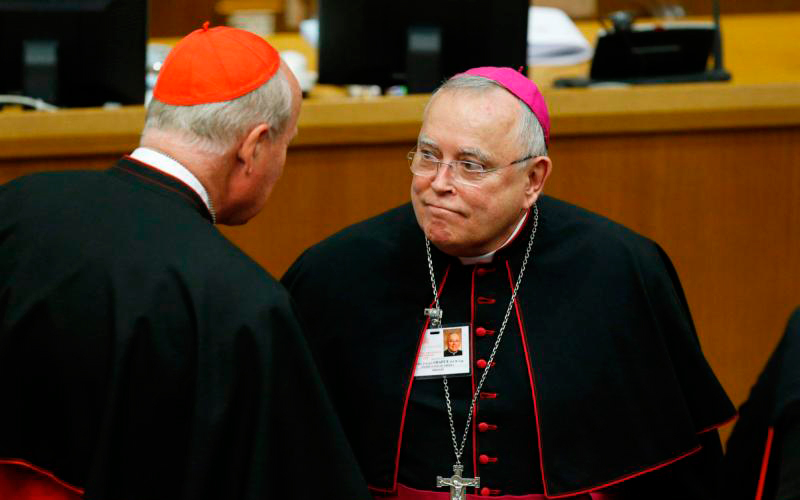 Jesuit Father Tommy Scholtes, spokesman of the conference, said Bishop Kockerols had submitted his text to the Belgian bishops before it was delivered to the synod and, as such, the text was presented on behalf of the whole bishops' conference. The bishop's brief talk focused on a deeper understanding of the term, "vocation," which begins with answering the call to life -- choosing life and choosing to listen to and love the Lord. "For the Christian," he said, "this call to life is an invitation to be and to become a disciple of Christ, 'Come and follow me.'" The baptismal vocation is "the source and summit" of all other vocations, he said, and people's answer to each call prepares them for the important choices to be made in life. The church must accompany young people so that they can become disciples of Christ "each at their own pace," he said, and if the church does not become better committed to this task, "the church will continue to lose credibility." Father Schotes told catholbel.be that allowing for the priestly ordination of married men could be one way to address dwindling vocations, but that it was not the only solution. The problem with vocations "is also a question of the credibility of faith in the world today," he said, noting how Orthodox churches and Protestant communities, which allow married men to become priests, are also seeing a lack of men wishing to pursue ministry.